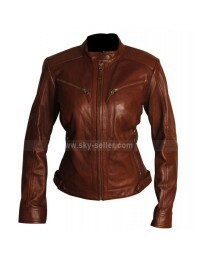 Choosing and having hands on the best looking biker jackets for women may be something extremely complicated since people are unable to get them at an affordable price and with a trendy look. 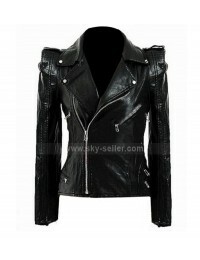 However, this beauty is something which calls for the attention of people who ate looking for a women biker jacket and need something unique to be worn as well. 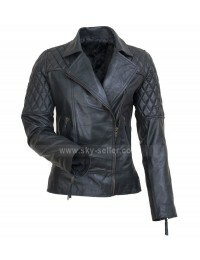 This biker jacket is not only trendy and appealing but being made out of genuine ad faux leather as a choice of material this jacket has been finished keeping in mind the layout and comfort as well for the one who owns it. 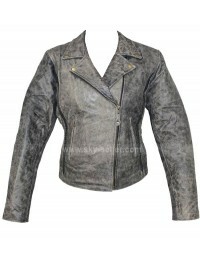 This jacket has been made using the blue color which shows the touch of electric layout and gives an impression of being something highly addictive too. 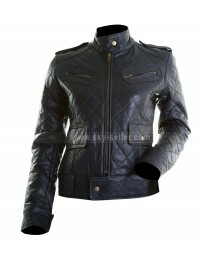 There is a front closure which features zip and there are wide shirt like collars too with sleeves being full in length. There is a pocket on the sides of this jacket too with a zip in slant like layout and edges have been accessorized with the belt.